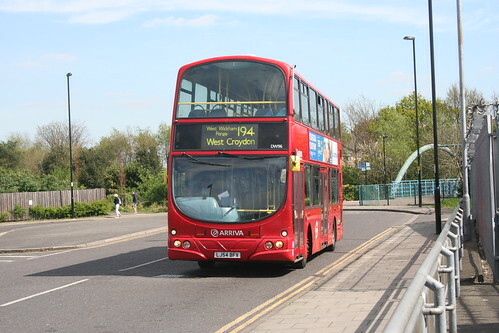 Sunday service diverted via Shirley Way instead of Wickham Road direct and re-numbered 194C. Converted to single deck one person operation and Sunday service re-instated - the Shirley Way routeing covered by new 119B. Elmers End garage closed - allocation transferred to Croydon (TC). Garage journeys from Catford (TL) ran out of service. 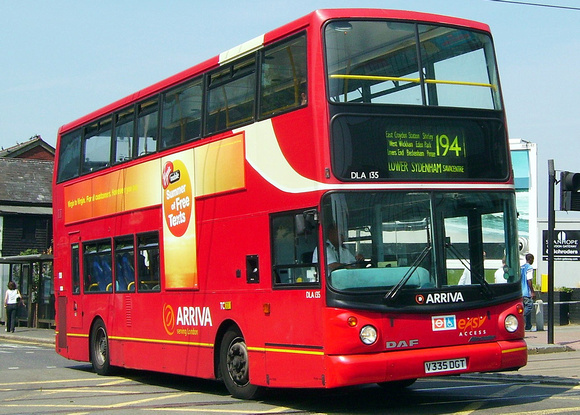 Sunday service re-introduced replacing withdrawn 194A. Diverted in Shirley via Shirley Way. Withdrawn between Bell Green and Forest Hill and diverted instead to Sainsbury's. Relief point for Bromley on route 194 is mainly Forest Hill on Monday to Saturday - Catford garage for meal reliefs on Sunday. There are a few duties that take over/ finish at Shirley Monks Orchard. The light running on this route is lengthy - via route 61 to Bromley - 208 to Catford then 75 to Perry Vale and 194 to Forest Hill - returning via 185 Forest Hill to Catford - then 208 and 61. Some buses also run light to West Croydon. There were also changeovers TB at West Wickham Swan.